The end of summer brought both bounty and hardship to Western farmers and ranchers. From hurricanes to fire, flood to drought, many have struggled with serious impacts to both their operations and their communities. But as farmers do, you are rebuilding, pitching in, and standing together. Times like these remind us how important it is to strengthen our communities and build a common voice for resilient agriculture. NYFC’s Western team has been working with members across the West to do just this. Here’s some of what we’ve been up to recently. 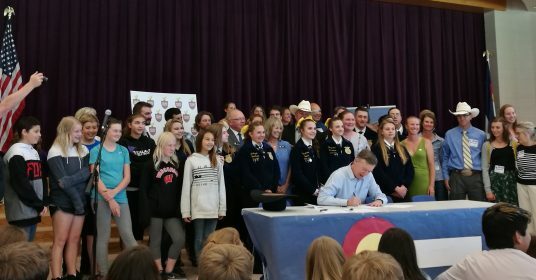 In Colorado, NYFC worked with Colorado State Senator Donovan to create the first-ever Colorado Young and Beginning Farmers Interim Study Committee. 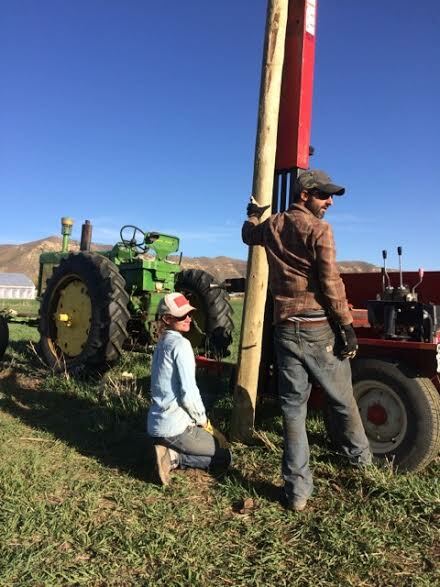 NYFC testified at both the August and October hearings on ways the state can support young farmers, including opportunities for paid farm and ranch internships. 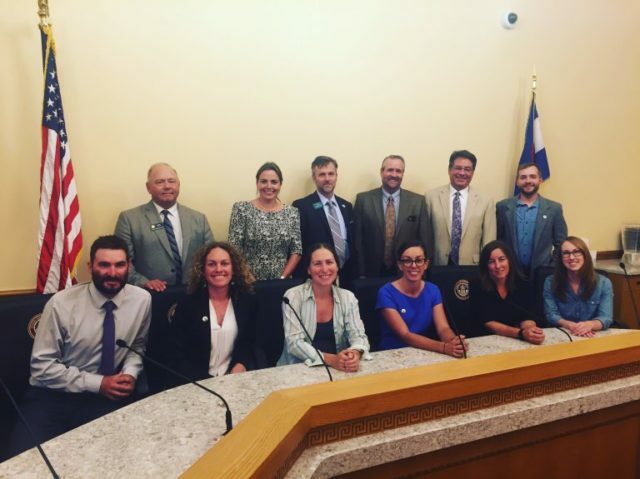 NYFC staff, members, and partners with members of the first-ever Colorado Young and Beginning Farmers Interim Study Committee following the Committee’s first hearing in August 2017. The Committee listened and in October voted unanimously in support of the Agricultural Workforce Development Program, which would offer cost-share support to existing farmers and ranchers to provide on-the-job training and wages for on-farm internships. The bill would also require the state to develop guidelines for on-farm internships to help ensure interns receive the training and skills necessary to manage their own successful agriculture operations. The bill is set to be introduced during the 2018 legislative session. In September, NYFC testified before the Colorado Water Resources Review Committee on priorities from the Colorado Water Plan, namely the importance of water conservation and soil health to farmland viability and climate resilience. The big challenge is ensuring a sustainable funding source for plan implementation and making more financial and technical resources available to help family farms adopt on-farm soil and water stewardship practices. NYFC will continue working on this front to ensure plan implementation supports working farms and ranches by protecting agricultural water and promoting conservation. Yet more Interim Committee hearings! In New Mexico, NYFC testified before the Legislative Education Study Committee in support of creating a student loan repayment program that would incentivize young people to build careers in agriculture and reinvest in rural communities. This effort emerged from NYFC’s participation in the Resilience in New Mexico Agriculture Task Force, a coalition of 33 ag organizations led by New Mexico First that helped build by consensus the Resilience in New Mexico Agriculture Strategic Plan. NYFC has also been busy at work in Montana. Just last week, NYFC hosted a young farmer roundtable with staff from U.S. Senator Tester’s office in Butte, MT, in conjunction with the AERO Expo conference on sustainable energy and agriculture. Seven young farmers and ranchers shared their biggest challenges with Sen. Tester’s office, including land access and affordability, student loan debt, farm financing, and market streams. We streamed the roundtable on Facebook Live—find it here! Farmer Equity Act passes in California! 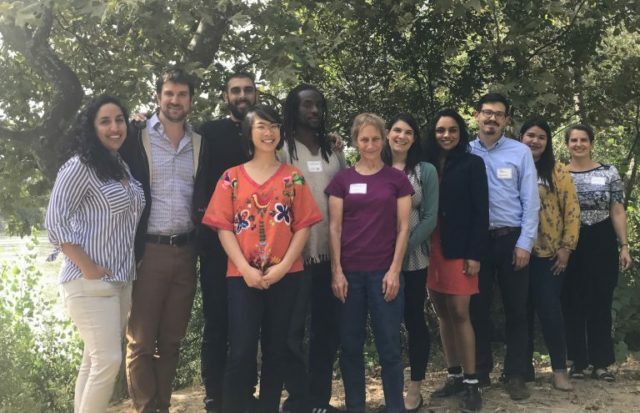 Earlier this month, California Governor Jerry Brown signed legislation that requires state officials to address the challenges facing farmers of color in California by making access to state and federal resources more equitable. This effort was led by the California Farmer Justice Collaborative, which includes NYFC’s very own Heart and Grain blogger Mai Nguyen. Read more about the Farmer Equity Act here, and get to know Mai and her farm here. September was a big month for getting out on the farm! 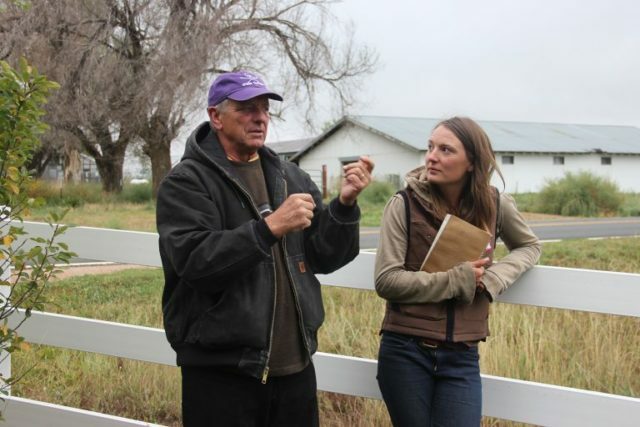 NYFC teamed up with the Colorado Foundation for Water Education (now Water Education Colorado), Colorado Ag Water Alliance (CAWA), and Rocky Mountain Farmers Union (RMFU) to host a day-long land and water tour in southeastern Colorado. We brought over 50 policymakers, water managers, producers, and concerned citizens to five different farm stops, with presentations on irrigation efficiency and soil health, alternative transfer methods, climate change adaptation, and farmland succession. Around the same time, we partnered with the Southern Willamette Young Farmers Alliance and Rogue Farm Corps to host a two-day land and water training at Two Rivers Farm in Springfield, OR, with presentations on NYFC’s new farmland affordability calculator, state water law, farm financing, and more. In late September, NYFC was proud to host a roundtable listening session specifically on urban agriculture issues in partnership with the urban farm and nonprofit community resource, the GrowHaus in Denver, CO. The event had a sold out crowd of over 60 people, and featured voices from 12 urban producers in the Denver metro area speaking to Colorado State Speaker of the House, Crisanta Duran, and U.S. Senator Bennet’s staff. Topics included land access and security, climate challenges, and access to farmer training programs. All the while, NYFC’s Western chapters continue their amazing organizing work, from the toolshed fundraiser hosted by the Northern New Mexico Young Farmers Alliance to Colorado chapter members sharing their stories with policymakers in D.C. 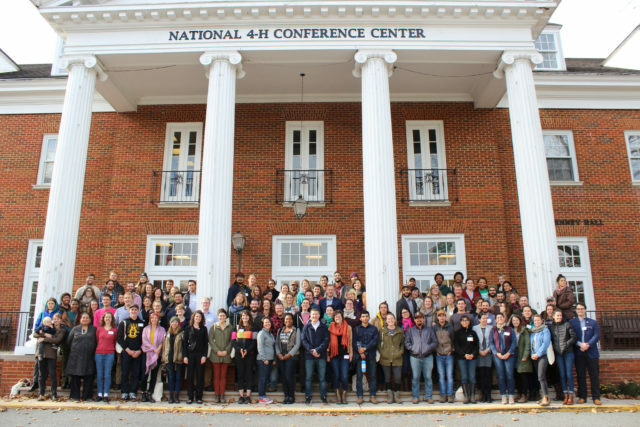 In Texas, Utah, Washington, Arizona, and all the Western states in between, young farmers are making their voices heard.